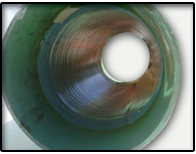 The “Infrastructure Point Repair System” is a no-dig, ambient cure, dependable system to repair any size pipe with no interruption of service. 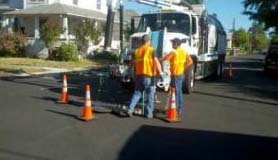 A crew of 3-4 with a camera truck, an inflatable carrier or bladder, and an “Infrastructure Point Repair Kit” is all that is needed to repair a damaged 4”- 36” pipe up to 15 feet in length in less than 4 hours. The complete, user friendly point repair kit features a patented, easy to wrap stay in place, sewn fiberglass and felt liner that is available in different thicknesses with pre-measured epoxy formulated for summer or winter environments. This system has been engineered to ASTM 1216 and certified, has a 100- year life certification and is environmentally safe with over 16 years of proven performance and 35,000 repairs in the ground. Training is done at your facility in 3-4 days. The training includes 3 complete kits, a carrier with flow thru, and 3 completed spot repairs. 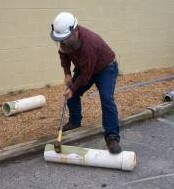 On site, wet out the liner with the epoxy formulation. 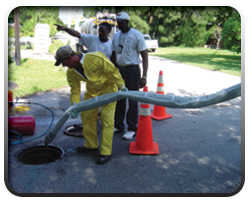 Insert carrier, with the liner into the manhole and pull to center of damaged area. Inflate carrier, with a flow thru, so there is no interruption of service. 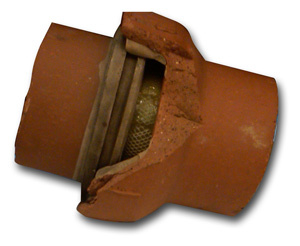 In 2.5 – 3 hours pull deflated bladder, leaving the new pipe within the damaged host pipe. 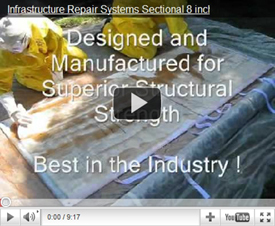 Infrastructure Repair Systems offers a Tools and Equipment Package that includes all the necessary equipment to complement the point repair carrier and Infrastructure Point Repair Kits. The Mainline Tools & Equipment Package comes complete with an air tank completely set up with gauges, regulator, valves and fittings; heavy duty portable hose and rope reels loaded with air hose and rope; tool box with thermometers and many miscellaneous tools needed for all your point repair installations. This is a great value and time saver! To view please click on the PDF file, to download right click on the PDF icon.